'The trouble with coconuts is that they are the worst type of nuts in the whole wide world. If you ask me, coconuts shouldn't be allowed in a funfair. If you double ask me, they shouldn't even be allowed to grow. Coconuts are too big. Coconuts are too hairy. Plus, if you try to win one, they just get you into trouble. Which isn't my fault!' Get up to no good with Daisy as she heads to the funfair - for a whole lot more trouble! And now for something completely different. Two days and two ghost stories, I though it was time for a change.Daisy, Daisy, Daisy, what can I say? If you haven’t discovered Daisy yet (there have been 7 novels and a handful of picture books too) you really should give her a go. If you’re looking for a funny read for a beginning readers, or want something longer than a picture book for a bedtime read, find a Daisy book. 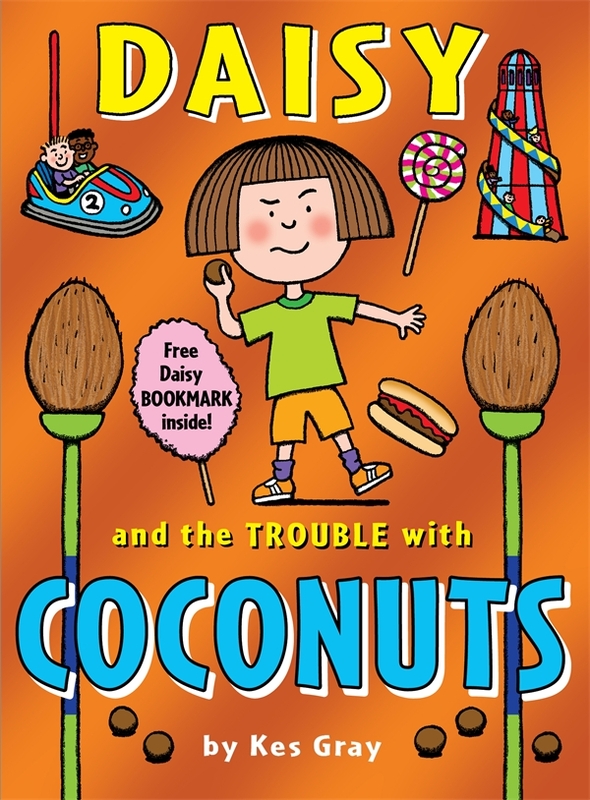 I am not sure if we have coconut shy’s at fair’s or shows here in Australia, but even if we don’t there’s still plenty that parents and children alike will recognise in this book. Daisy is off to the fair with her Grandparents, her mother is is very anti-funfair, and think’s it’s a waste of money and full of unhealthy food. Luckily for Daisy it’s her Grandparent money she will be spending, and she LOVES unhealthy food, as we will see throughout this book. I really think adults will get a kick out of this book as they will identify with Daisy's (and her Grandparents plight) as they go from game to game, her Grandparents handing over their money, without winning a prize. The darts don’t fly straight on the dart game, the hoops are not the right size to go over the stands at the tombola, there is no goldfish game anymore (animal rights issues! ), the dolly mixture doesn’t quite fall off the shelf at the rifle range, and even when Daisy manages to catch a duck at the Hook-a-Duck stand there’s a big fat X on the bottom, which means no prize for her. It’s not until the last game, the coconut-shy, that Daisy really loses her cool. No one in her family seem to be able to knock these coconuts over. In fact Daisy is starting to suspect that something underhand may be at play…maybe these coconuts are glued in place, so they will NEVER fall off!? With the help of her friends, Daisy decide to arrange a little protest, that of course doesn’t go to plan, but is hilarious to witness!